Melbourne's newest boutique hotel located on 30 Little Latrobe Street, between Melbourne Central and RMIT University, is set to open on October 1. Brady Group will retain full ownership and management of the hotel and plan to roll out further accommodation under the brand in the future. Brady Hotels General Manager William Lee said the business had poured heart and soul into the property. 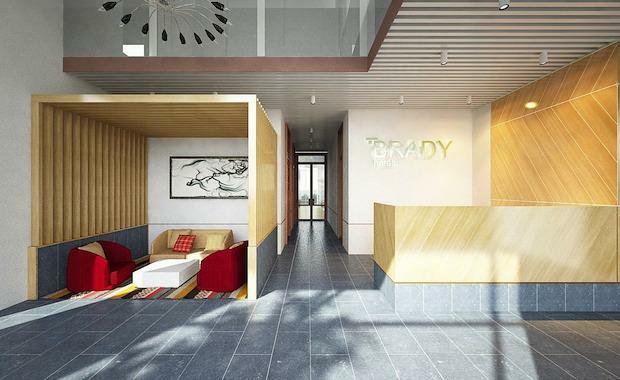 “Brady Group has been developing apartments for more than 20 years and we are experts in creating liveable, boutique spaces in big cities. Our guests are going to appreciate style, comfort and four-star amenities when they stay. We refer to it as ‘The Brady Experience’,” he said. The hotel will feature 146 rooms across 16 floors, offering four executive two-bedroom apartments on level 15 and two, two bedroom penthouse apartments on level 16. The lower floors will offer 84 standard and executive rooms as well as 56 studios. The buildings amenities include an on-site restaurant, bar, gym as well as two equipped conference spaces that can accommodate up to 80 people.